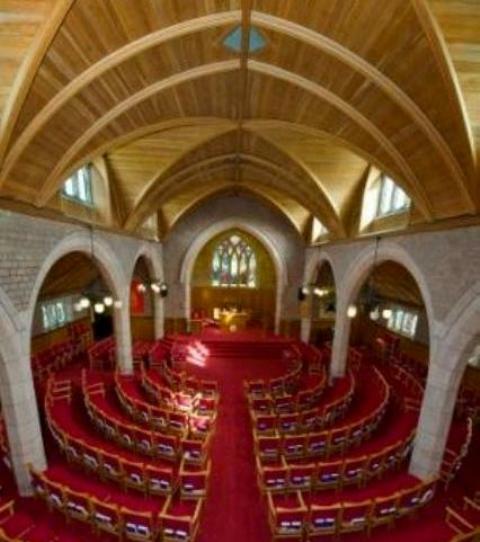 Cults Kirk has a beautiful sanctuary; pink granite and original oak timbers complementing richly coloured stained glass. 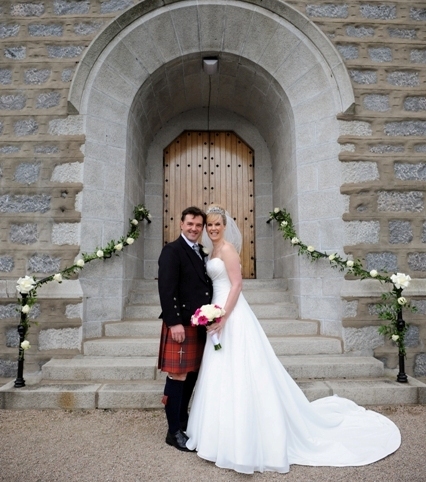 It's a snug, warm church, beautiful for weddings; with an intimate atmosphere which makes the smallest of weddings just as special as the largest of gatherings. The church grounds are beautifully landscaped, very photogenic and even contain a couple of benches should those "special wedding day shoes" protest too much! Confetti is fine, as long as it is paper and not metallic - we're an Eco-award church and we're serious about doing our bit for the environment. DO YOU HAVE TO BE A MEMBER OF CULTS KIRK? 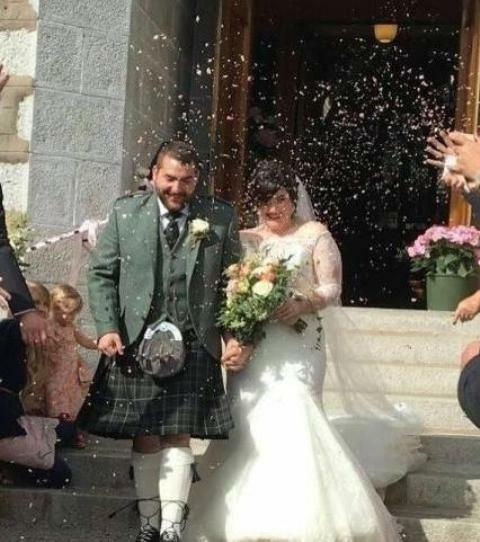 You do not have to be a member of our congregation to be married in Cults Kirk. We welcome all who want to celebrate the love they have found. We invite all couples to share in a series of marriage groups, usually three meetings early in spring, when we explore the challenges that come with a shared life! We get a lot of positive feedback about these meetings, which are a welcome contrast to the sometimes frazzling task of "planning the day". There is no fee for the minister's service however we do ask that you make a donation (see wedding brochure) towards the upkeep of the church and the service of an organist. Wedding guests are welcome to take pictures in the sanctuary, at the end of the ceremony. 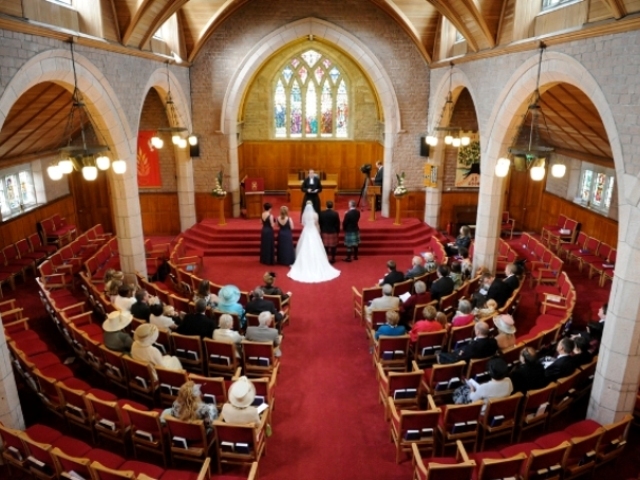 Professional photographers are allowed to take some pictures during the service itself; and video cameras are OK, as long as their use is discreet. 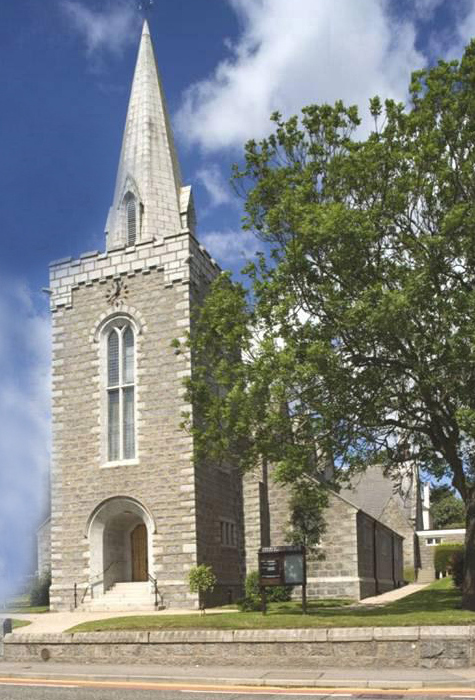 There are several hotels within a short distance of Cults Kirk, a fact which can help significantly when planning the reception side of things. Some of the above information is contained within the Wedding Brochure. Alternatively, contact our office any weekday morning on 01224 869028.